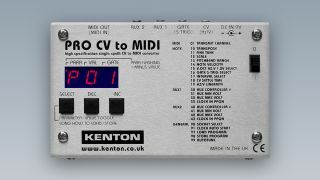 Kenton Electronics has announced its latest converter, the Pro CV to MIDI. 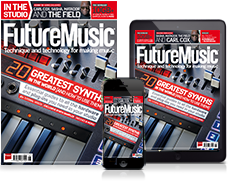 It takes the CV signals from any CV-equipped instrument and converts them to MIDI. Opening up a new world of control for lovers of modular and vintage gear, the Pro CV to MIDI converter will allow you to bring your MIDI-enabled synth to the control-voltage party. The PRO CV to MIDI boasts highly accurate tracking of pitch control voltages and supports the Volt/Octave system, the 1.2V/Octave system used by EML and Buchla, and the Hz/Volt system used by Korg and Yamaha. The rugged, feature-packed box also includes pitchbend, modulation and non-quantised continuous tracking, and two user-assignable auxiliary CV inputs. PRO CV to MIDI is available now for £136.92 inc VAT (£114.10 ex VAT), for more information go to the Kenton Electronics website.